The MikroTik S-RJ01 is a SFP 10/100/1000M copper module supports RJ45 and offers a data rate of up to 1.25 Gbps and goes a long as long as 100m. The MikroTik S-RJ01 RJ45 SFP Copper Module is compatible with most Gigabit SFP ports that are available on various network devices. Making possible for you to integrate the module in every of your network. 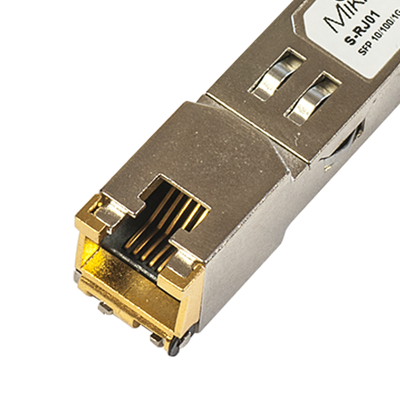 Compatible with most Gigabit SFP Ports. Ubiquiti UniFi Eight Port Switch.